Keep things light this summer with this refreshing basil pesto pasta bowl at your next summer get-together. Mix in basil pesto, lemon juice, arugula and tomatoes to complete this simple, yet flavorful meal. What’s not to love when you combine tortellini, cheese, and roasted veggies! Perfect for a family meal or a party, this recipe is on point for any type of summertime celebration. Your guests won’t be able to put their forks down once they taste this flavorful dish finished with roasted zucchini, eggplant, bell peppers and onions. All hands on deck for this fun family recipe! 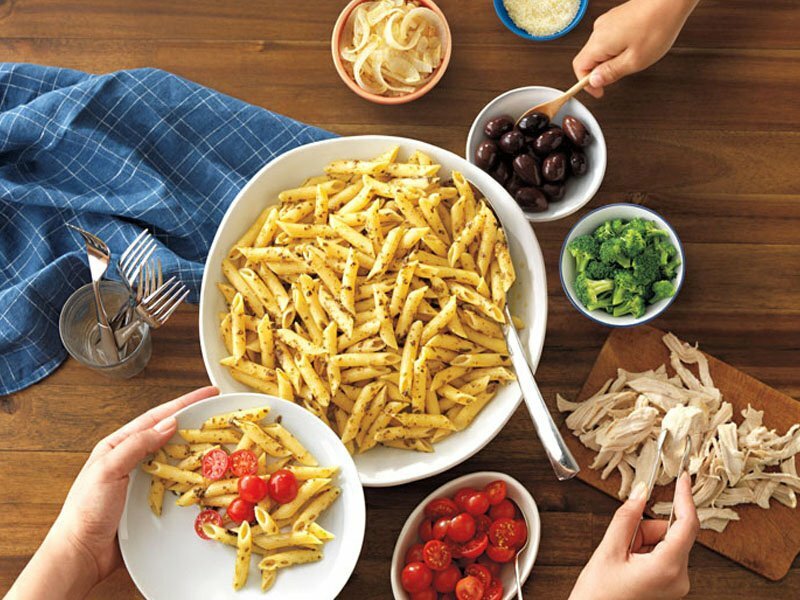 Just toss your Penne pasta with Barilla Traditional Basil Pesto and serve with a choice of Mediterranean sides such as roasted veggies, olives, and marinated chicken. It’s sure to be a hit with the whole family. 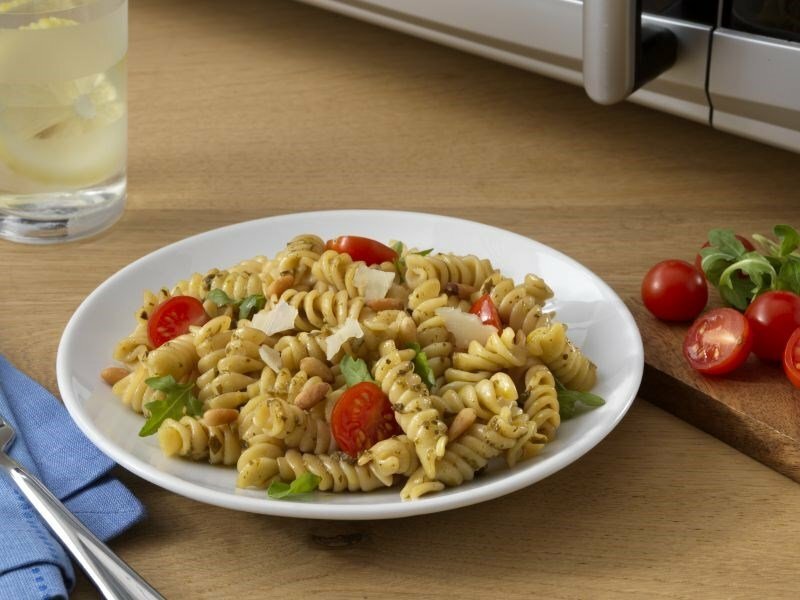 For a unique twist on the recipe, use Barilla Sun-dried Tomato Pesto. Your friends and family will be asking for seconds of this recipe! 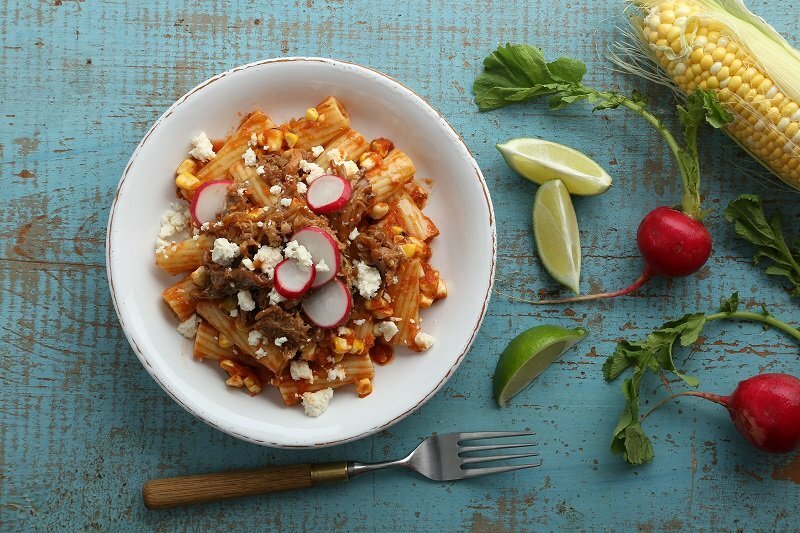 This dish is served with baked pork, grilled corn, and green chili sauce, making it the perfect meal for your backyard BBQ.